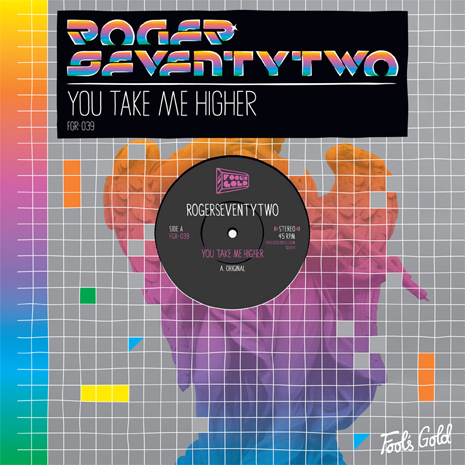 “You Take Me Higher” is a joyously infectious dance gem from Rogerseventytwo that went from fileshared DJ secret weapon to a true club anthem. The single package includes a beefed-up new mix of the title track, along with a futuristic, R&B inspired take from Brenmar (in his first FG appearance), and a deep techno version from Italy’s NT89. Two more R72 originals “What You Wanna Be” and “Future Funk.” Sleeve by Dust La Rock.